Does this open the door to more Android music making apps? Is Sonoma Wire Works set to ride to the rescue of disgruntled would-be Android music makers? NAMM 2013: We're not sure exactly what this means, but Sonoma Wire Works has thrown a potential lifeline to Android music makers by announcing a low latency audio solution (LLA) for the platform. Available for license to device manufacturers, this promises to bring latency down from the typical 100 to 250 milliseconds to a much more palatable 20 milliseconds. Many questions remain - which versions of Android and which handsets will this work with, for example - but at least users of Google's mobile OS now have some hope on the horizon. More details below or on the Sonoma Wire Works website. Sonoma Wire Works, makers of the FourTrack(TM) iOS multitrack recording app, the AudioCopy(TM)/AudioPaste(TM) SDK, and the GuitarJack(TM) audio interface, have developed a low latency audio (LLA) solution for Android devices. Typical input to output latency on Android devices is between 100 and 250 milliseconds. 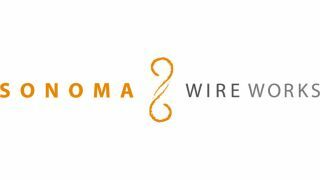 Sonoma Wire Works' LLA solution brings latency down to approximately 20 milliseconds. Latency is the time it takes for sound to go into a system and back out. Low latency is essential to musicians if they want to use a device for real-time processing (e.g. guitar amp models and effects or input monitoring during recording). Latency above 25 ms is generally considered too high for input monitoring and live effects. Sonoma Wire Works' LLA solution achieves low latency on Android with analog inputto output measurements comparable to what is currently available on iOS. Sonoma Wire Works' LLA solution for Android is available for license to device manufacturers. Sonoma Wire Works will be available for meetings and demonstrations at the NAMM Show, January 24-27, 2013, at the Anaheim Convention Center in Anaheim, CA.